If you are a WordPress user who is bored with the same old fonts you should check out these WordPress Plugins for font replacement. Typography on the web is very limiting. Luckily you have options when it comes to improving the fonts on your site. The Font Burner Control Panel plugin allows you to easily add any of the 1000+ free fonts available on the Font Burner website to your WordPress theme. Simply find a font you like and type it’s name into this plugin and your headlines will instantly be transformed! You don’t need to know how to use sifr, you don’t have to customize your theme. You don’t need Flash. Font Burner is the easiest way to bring rich typography into your WordPress theme. A neat way to spice up your WordPress search page is to highlight search terms within your search results. The solution described in this tutorial will highlight both the title and post content and is a drop-in modification for WordPress. Breadcrumbs are a great way to give people a perspective of where they are on your site. In this post I will explain how to add breadcrumbs to WordPress without using a plugin. Adding this feature will also help the search engine spiders to find the structure of your site and decrease the time it takes to index a single page. A lot of wordpress theme developers like to use as few plugins as possible and this code will help you accomplish that. Sitting at a computer all day with nothing cool to look at can get a bit boring. Use these beautiful high res desktop wallpapers to take a little boredom out of your day. This previous, vibrant WordPress blog design of Mark Forrester’s personal site was well received and showcased in many CSS galleries so boasts a solid track record. Bundled with a fully customizable header space, optional sidebar slider and a dedicated portfolio page, together with some minimal corporate alternate styles this Premium WordPress theme caters for a wide market. Getting the awesomess of JQuery integrated into WordPress is much more simple than you think. Here are 10 Tutorials using WordPress and JQuery. Let’s start this off by properly including JQuery in WordPress. So you finally got that long awaited popular post with a billion Digg’s and hundreds of comments. After spending quality time responding to some of your favorites you realized that your replies just got lost in the mix. As the author you really want the readers to have an easy way to know exactly when and where your responses are so you decide to find a quick and easy solution. Why not just give your comments a different background color? I will show you how to highlight author comments in your WordPress blog. This is a lot easier than you think because at WPSwitch we are never gonna let you down. Here is a quick and super simple solution to make your replies stand out from the rest. Delicious is an elegant premium WordPress theme developed for restaurants, cafés, bars, diners, pizzerias, etc. 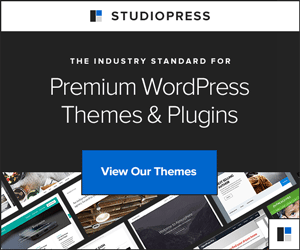 This strategic, professional premium WordPress theme includes everything a gourmet website will need! Multiple menu pages, cafe directions, featured items, blog, and so on. Use this theme to quickly create a professional presence for your culinary business. Getting married? Have fun creating and maintaining your or someone else’s wedding website easily with our Mr. & Mrs. – Wedding special premium WordPress theme that comes with 4 elegant, detailed colorschemes for you to choose from. With a minimalist design focused on white space, typography and solid colors, this theme is aimed at those of you who want your content to ooze style and sophistication. Because this theme is focused on blogging Obox has tried to give you a bit more power when it comes to the layout of your posts. It is therefore possible to position your posts feature image in one of three different locations (above, to the left or to the right of the copy). So you want to sell stuff online but you have no idea where to start? You may know WordPress as one of the absolute best blogging platforms on the planet but its ease of use and flexibility also makes it a great tool to start your ecommerce business. Here we present 11 shopping cart and ecommerce plugins to power up your WordPress site with a truly great shopping experience.